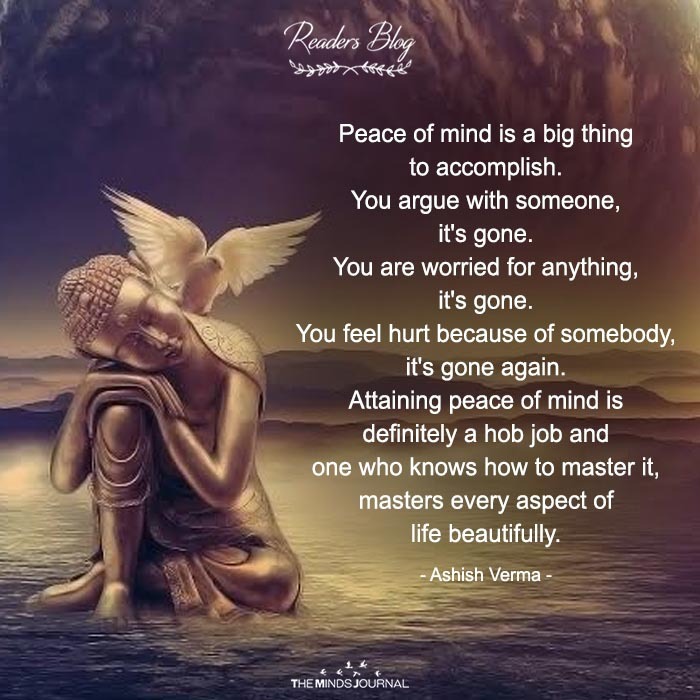 Peace of mind is a big thing to accomplish. You argue with someone, it’s gone. You are worried for anything,it’s gone. You feel hurt because of somebody,it’s gone again. Attaining peace of mind is definitely a hob job and one who knows how to master it,masters every aspect of life beautifully.